The new Subaru Ascent has three rows of seats, a feature that has been absent from the automaker's lineup. Almost one in two U.S. residents sees snow only in the movies and in photos. For most of Canada, well, it’s not called the Great White North for nothing. So it stands to reason that Subaru, the car company synonymous with all-wheel drive, would have a higher market share in Canada than in the United States. Except it doesn’t. In 2017, after another record year, Subaru Canada Inc.’s market share grew to 2.7 per cent; south of the border, Subaru of America achieved 3.8 per cent. The discrepancy, at least in part, is due to dealers’ difficulty getting enough of Subaru’s hot-selling models. The shortfall is from strong demand, a company executive said, adding that production increases should ease the problem. Clearly, despite six straight years of growth and Canada recently surpassing Australia as the third-largest market for the brand, Subaru still hasn’t reached its true potential in this country. 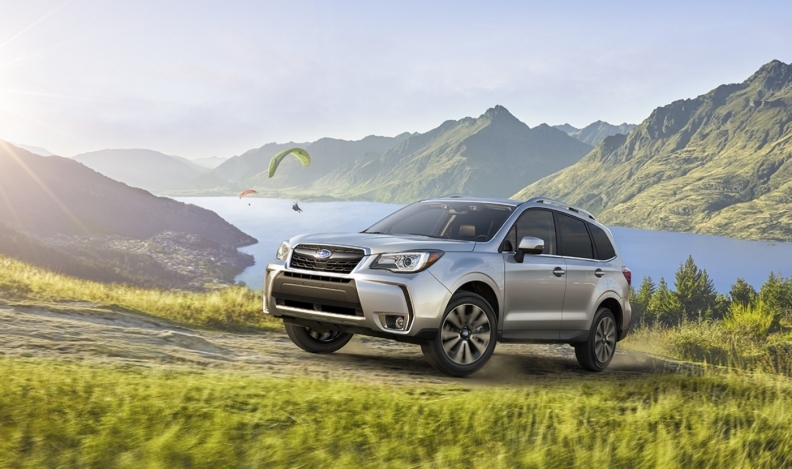 “[Market share] discrepancies between the U.S. and Canada likely have to do with a limited supply of product that Subaru Canada can get their hands on,” said Robert Karwel, senior manager of J.D. Power Canada's automotive practice. Supply was particularly constrained when initial demand for the Legacy/Outback exceeded forecasts after its redesign in 2014. But that has been resolved with substantial increases in production capacity at Subaru’s plant in Indiana. In both countries, the distribution rights were initially held by American privateers — the flamboyant Malcolm Bricklin in the United States, and, in Subaru Canada’s case, Larry Barnes, a Chevrolet dealer in Boise, Idaho. Perhaps an American owner lacked the local knowledge or the commitment to maximize the brand’s potential in Canada. “The U.S. had a huge head start on of us in terms of brand awareness and building a core base of owners,” said Lalka. In 1989, Subaru parent company Fuji Heavy Industries in Japan (now named Subaru Corp.) brought the Canadian operation in-house as Subaru Canada Inc. That year, Subaru sold 6,172 cars in Canada and things got even worse before getting better. An early-1990s economic downturn, and a misguided attempt to “mainstream” Subaru by offering front-wheel-drive models to compete directly with Honda and Toyota, resulted in a sales dip to 4,183 units in 1995. That was also the year Subaru pivoted back to embrace its inner all-wheel-driveness, making it standard. At about the same time, it launched the Legacy Outback. The hiked-up spin-off from the Legacy wagon was an expedient way for Subaru to enter the burgeoning utility market. It was a hit. Sales in Canada climbed rapidly at first, then plateaued in the 15,000-17,000 range from 2001 to 2007, before taking off again in 2008. Sales topped 50,000 in 2016, grew to 54,570 last year, and are up 5.5 per cent this year through June. Were it not for a blip in 2011, when the tsunami in Japan disrupted supply, Subaru Canada’s growth streak would be in its 13th year, not its seventh. No discussion of Subaru Canada can ignore that Subaru, globally, is a minnow in an industry where size is everything. Subaru Corp. built 1.05 million vehicles in its fiscal year ended March 2018. But Lalka said that little Subaru can still be viable if it stays focused: “Globally, Subaru has sold more than a million vehicles for two years running. That was a critical point that gave us enough volume to gain efficiencies from [economies of] scale. Long-time dealer Carmen Vigliatore of Scarborough Subaru in Scarborough, Ont., has never been happier with Subaru — despite tight supply of some models: “The last five years, the progress has been incredible — the quality, the marketing. That will come. Toyota owns a 16.5-per cent share in Subaru Motors (the two companies co developed the Subaru BRZ and Toyota 86 sports cars), and Toyota will assist Subaru in electrifying its lineup. Apart from the sports cars, all Subarus will achieve economies of scale by riding on a common architecture, called Subaru Global Platform (SGP). The Impreza compact sedan and hatchback (and its Crosstrek spin-off) already ride on the SGP, as will the redesigned 2019 Forester compact and the upcoming Ascent midsize utilities. 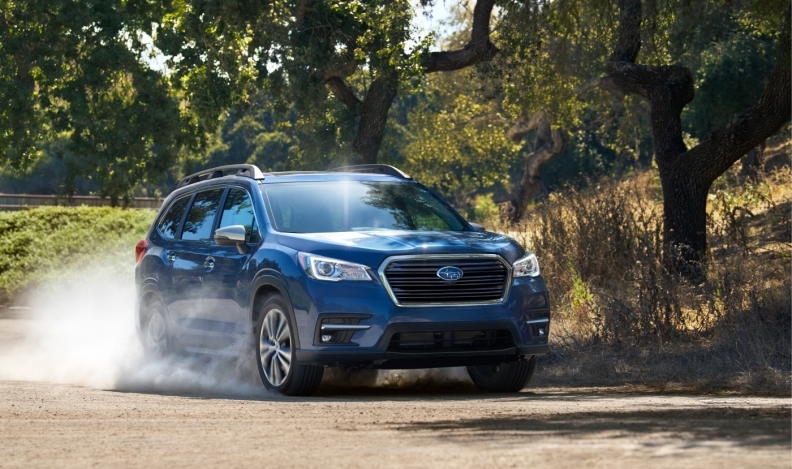 The Ascent will be Subaru’s first entry in that key segment since the little-loved 2006-’14 B9 Tribeca. That leaves only the midsize Legacy sedan and its Outback sibling to adopt the SGP underpinnings. While he thinks the Canadian arm could potentially match or beat Subaru’s 3.8 per cent U.S. market share one day, for now SCI is aiming for three per cent. Lalka stressed the importance of sustainable growth that doesn’t rely on incentives, and of ensuring a healthy, profitable dealer network. The count currently stands at 94.